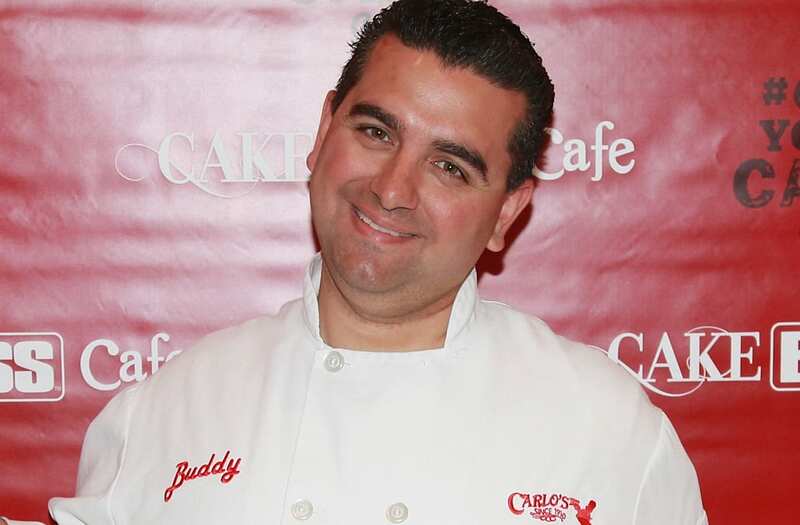 'Cake Boss' star Buddy Valastro shows off dramatic weight loss -- see the pics! Cake Boss star Buddy Valastro is sharing his dramatic body transformation and revealing how he shed the pounds. The 41-year-old baking whiz took to Instagram on Monday to post a pic showing him posing with his wife, Lisa, while looking slim and healthy in white pants, a patterned shirt and gray jacket. Valastro also shared a pic of the couple at the beach over the weekend. “Down the shore with my beautiful wife! Does it get any better than this? @lisavalastro4,” he wrote. The Optavia program aims to instill good habits, like drinking an extra glass of water each day, into users lives, as they work towards a healthy weight and ongoing healthy lifestyle, with the help of coaches. Valastro’s transformation is evident when comparing his latest post with a photo he shared with his late mom on Mother’s Day. NEWS: Blake Lively Flaunts Her 61-Pound Weight Loss in Super Short Sweater Dress: Pic!